Does your property stand out from the crowd? We can insure non-standard builds, both in terms of construction and properties which use non-standard building materials such as thatch roofs or timber frames. Refused a standard policy due to a history of subsidence or flooding? This need not make life any more difficult than it already is. Our Specialist Advisors are familiar with all types of non-standard policy and in finding competitive quotes for just such a situation. Jet-setting or working away from home? Not a problem. If your residence will be unoccupied for more than 30 days a year, for whatever reason, we can still provide comprehensive insurance at very reasonable premiums. 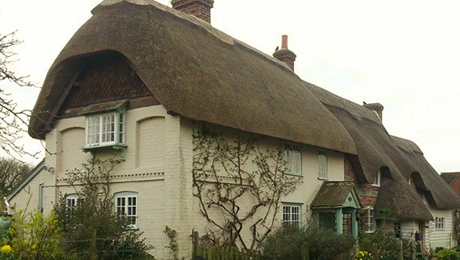 Whether you’re living in a thatched property or have a history of subsidence or flood, our non-standard home polices can normally secure the highest levels of cover at the most competitive prices. We operate a number of delegated schemes from insurers to be able to support the most challenging of circumstances. At Starlane Insurance, we individually assess and underwrite each case on its merits. In short, we listen to your situation and then give you solutions rather than just automatically pushing it through a rigid policy and process. All of our high value home policies are tailored to meet your specific requirements. Our experienced Client Advisors are trained to understand your needs and to put together the most cost effective solutions from our range of insurers.